The Indian Finance Ministry on Thursday refuted media reports of a cancelation of talks between the Indian and Chinese Finance Ministers in Beijing next week. Indian Finance Minister Arun Jaitley and his Chinese counterpart Lou Jiwei will hold talks on 27th June, as scheduled, said a Finance Ministry statement. News reports in certain section of media that FM's bilateral Meeting with his Chinese counterpart is cancelled, is incorrect. 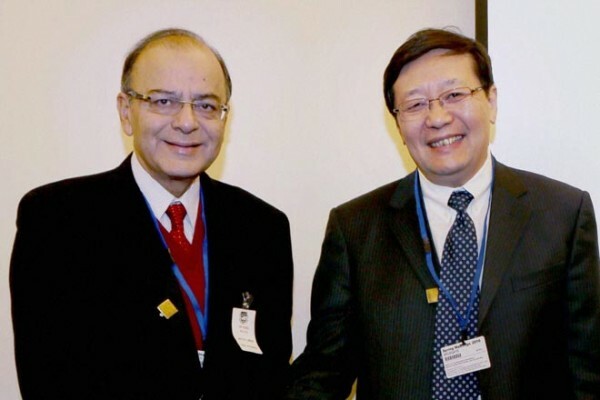 FM@arunjaitley's meeting with his Chinese counterpart Mr Lou Jiwei stands as per schedule on 27th June,2016. The Ministry clarified that owing to Brexit-related concerns, India’s Department of Economic Affairs Secretary Shaktikanta Das has postponed his China trip. The Indian Finance Minister is headed to Beijing on a five-day visit to take part in a host of events including the first annual meet of the board of governors of the new China-led Asian Infrastructure Investment Bank. He will also address a session on ‘Infrastructure and Global Economic Growth’ on June 26. Indian Finance Minister Jaitley will also meet National Development and Reform Commission Chairman Xu Shaoshi and People’s Bank of China Governor Zhou Xiaochuan. Jaitley’s talks with his Chinese counterpart are expected to focus on bilateral trade and investment ties as well as sluggish global growth. China has argued repeatedly that the US should tread cautiously as it tightens monetary policy and avoid any surprises. emerging stocks almost half a percent higher on Wednesday. MSCI’s emerging equity index rose for the fourth straight day to touch 12-day highs, taking their cue from firmer developed markets, a weaker dollar and a 1 per cent jump in oil prices. During his visit, Jaitley is also expected to meet select Chinese investors and bankers to seek investment in sectors like infrastructure. Earlier last month, state news agency Xinhua quoted President Xi Jinping as saying that the “Chinese side is appreciative of India’s adherence to the one-China policy”. Indian media reports said two Indian members of parliament scheduled to attend the swearing-in of Taiwan’s new President Tsai Ing-wen cancelled their participation, a move that could be interpreted as deference to China’s sensitive relations with Taiwan. In her inaugural address in May, Taiwan’s new President chose to omit the mention of the “one-China” principle that affirms both sides are part of one country. Meanwhile, India’s growing ties with China have been marked by burgeoning trade and investment. “India and China are two large growing economies and major powers on the world stage. We represent over 40 per cent of humanity. Our relations transcend the bilateral ambit and have acquired regional and global and strategic significance,” Indian President Pranab Mukherjee said during his four-day state visit to China last month.